When many marketers and community managers think of social listening, scouring through sets of posts, tweets and messages comes to mind. But being left with a small relevant dataset is common, even though the process involves keyword research to target what your audience is saying about your brand and competitors. Adding hashtags to your social media listening strategy can help ease the problem. By tracking certain tagged topics, you’ll collect more applicable information about what your audiences say and think about you. Your understanding of how to market your brand should improve as a result. What Is Social Listening with Hashtags? Also called social media monitoring, the goal of social listening is to gain an understanding of how people perceive your brand based on what they say about it online. Whereas standard social listening involves tracking what consumers say on virtually any digital space, using hashtags enhances the library of data collected on social media platforms such as Twitter and Instagram. It’s a type of data mining. And it revolves around identifying posts that use tagged topics, along with analyzing those posts to quantify metrics such as influence and engagement. 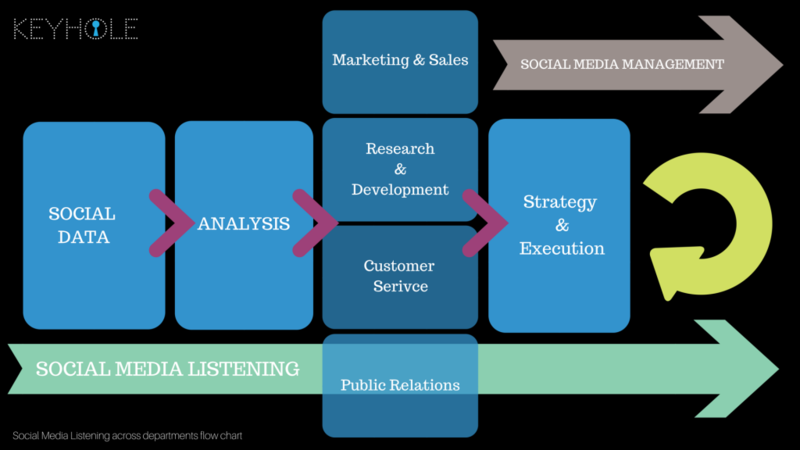 Team members beyond your marketing and public relations departments can play a role in social media listening. The scope of your social listening strategy won’t be wide enough if you only track one kind of hashtag. Track these hashtags along with positive (fun, great) and negative (bad, won’t) keywords to measure sentiment. As you identify users with clear opinions one way or the other, reach out. This could involve asking what they specifically like or dislike, building genuine conversations to earn their appreciation. As a bonus, these conversations could result in developing ideas to improve your product or service. Under Nike’s famous brand hashtag, people share posts about sports, athletic apparel and motivation. Keeping tabs on the hashtag gives Nike a clear picture of what their markets think about the brand’s identity. What you can do for your brand, you can do for the competition. As potential customers use opposing hashtags, track them and use keyword filters to figure out what prospects do and don’t like about other brands. When you identify a prospect, you may feel the need to gently reach out and explain why you succeed where your competitor fails. This can involve giving a demo or free trial, depending on your industry. On the flip side, look out for satisfied customers. If your company doesn’t offer the service or product that made them happy, your team may have a new idea to consider. From there, Nike’s social team can take the approach it wants to when it comes to interacting with users or studying successful content. A quick search using key terms should reveal chat hashtags relevant to your industry and audience. 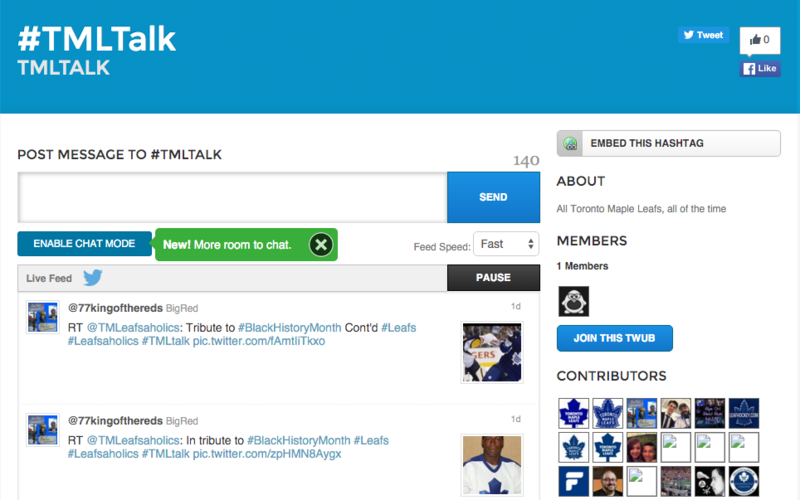 Popular on Twitter, you can monitor a chat to learn more about users who are interested in the subject matter. A public relations chat, users participate if they serve or are active in the industry. Your brand stands to benefit as a member of either category. As a public relations team, you can make new contacts. As someone who targets these professionals, you can stay on top of industry trends. As more marketing and public relations teams use social media to amplify events, tracking event hashtags should secure a spot in your social listening plans. It’s not your average event in terms of scope, but social media marketers in the music and entertainment industries stand to benefit from tracking #GRAMMYs on Twitter. Staying on top of your data feed and tweeting appropriately can boost audience and engagement numbers as moments go viral, users disapprove of a speech or if there’s backlash against a winner. Not everyone will directly mention your brand when using your campaign hashtag, meaning there’s a clear need to track the tag’s performance as part of your social media monitoring strategy. The same goes for online campaigns from rival brands. Similar to brand hashtags, you should track campaign hashtags with and without sentiment-based keyword filters. Doing so gives segmented looks at how consumers view the campaign. It’s easier to sort through relevant and irrelevant data – as well as pinpoint issues and action items – as a result. Coca-Cola’s famous campaign never seems to end, as customers keep sharing photos of namesake cans and bottles. If your digital team doesn’t already use one, your step after identifying hashtags is finding a tool that collects accurate data. There’s a library of social media analytics services to choose from, each with features and price points to suite different teams. We looked into 25 platforms in this blog post. Full disclosure: If you haven’t noticed, you’re on the Keyhole website. But tracking hashtags and keywords, collecting metrics to improve your social listening approach, is a reason why users love us. You can compile Twitter and Instagram content in real-time, displaying data such as reach, impressions and activity numbers on a shareable dashboard. Plus, you can rank influential posters and track demographic metrics such as gender and location. If you happen to miss monitoring an event or campaign, we’ll get historical social media data for you. Think of this tool as a social search engine. Entering a hashtag will generate pages of user-generated content from more than 100 platforms. Social Mention tracks traditional metrics such as reach and sentiment, making it useful for listening to discussions around brand and campaign hashtags. But it also displays unique metrics such as passion – the likelihood that users will post more than once about your brand. 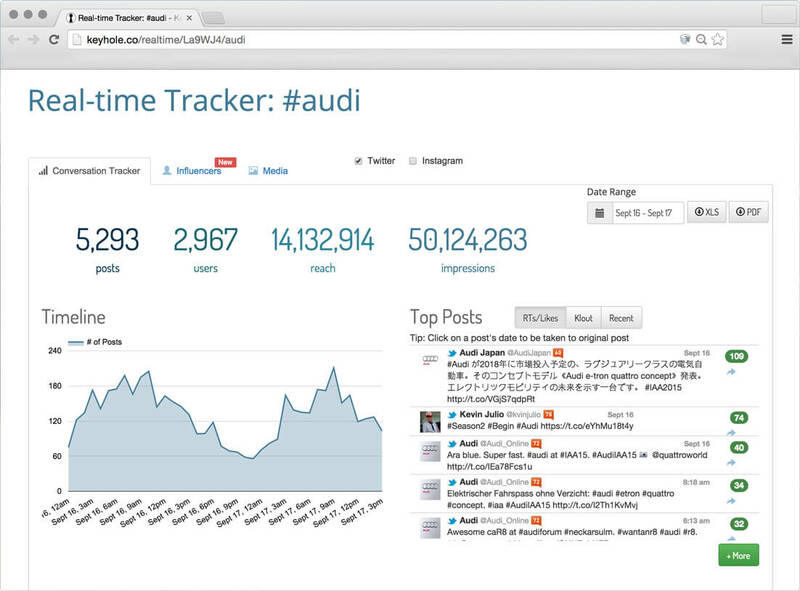 A popular platform management tool, you can also use Hootsuite for social listening. After you identify keyphrases, create a stream for each one. You’ll get a grid of social content, showing basic engagement data. Hootsuite also lets you flag posts and assign team members to address them. What’s more, you can restrict the stream results based on data such as location. Twubs is a hashtag directory, fit for basic social listening on Twitter. Typing a hashtag into the home page’s search bar will generate a live stream of tweets, also giving you an option to access limited historical data. Within Twubs, you can reply to tweets and post new messages with the given hashtag. Don’t overlook Twitter itself for basic social listening. 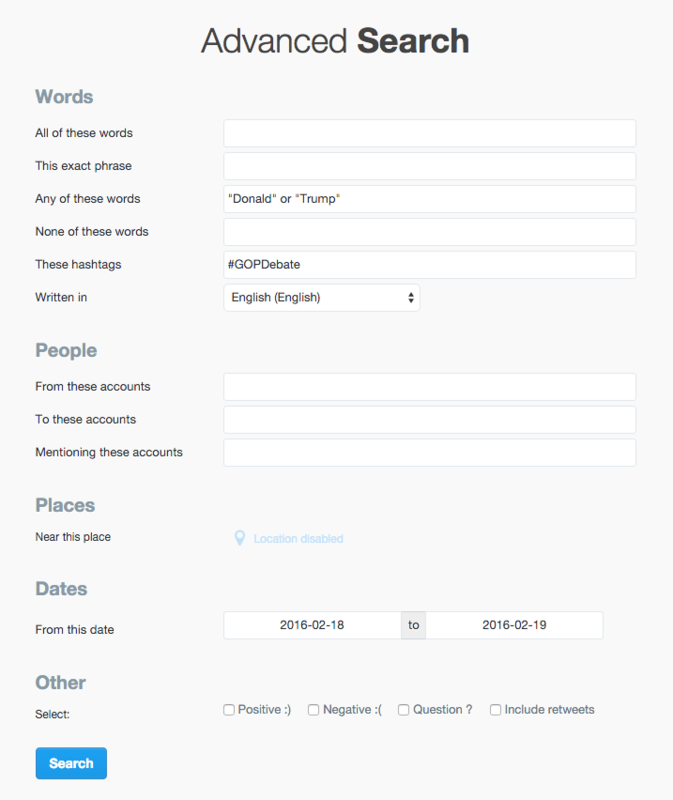 You can use the advanced search function to refine your queries, identifying posts that use any given hashtag. The range of filters for dates, sentiments, locations and keywords helps you zone in on specific audiences. And since you’re operating on the platform itself, it’s easy to engage with people. Dividing the audiences you identify through social listening into sub-categories can help you develop content to better meet their diverse needs and interests. 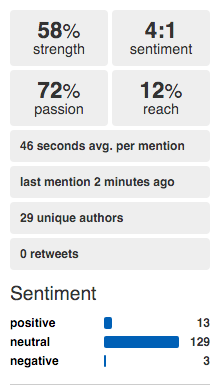 In this case, social market segmentation starts with sampling messages that use a monitored hashtag. Depending on the popularity of the tag, this could involve looking at 10% to 100% of the posts. Look for themes and prevailing opinions within each group. For example, you may notice a segment of your audience expresses a common concern. Another may frequently post about a topic related to your brand. Regardless, developing these consumer personas is an exercise in better understanding your markets and knowing how to communicate with them. That’s the goal of social media monitoring, after all. Optimizing your social listening approach with hashtags and select keyword filters can generate a library of relevant data, providing more information about your online market. And by monitoring different types of hashtags, you may even unlock an audience you didn’t know you had. That, in itself, could take your marketing strategy in a new direction.